One of Florent Schmitt’s most famous and popular compositions is his monumental choral work Psaume XLVII, Opus 38. Composed in 1904, it is one of the most striking choral works of the 20th Century — or of any era in classical music. Music lovers who are familiar with this work know how important the organ is in Schmitt’s Psalm, which also features a soprano solo in addition to the large mixed chorus and large orchestra. On recordings, one can get the same sense of this in the 1973 Jean Martinon/ORTF performance on EMI, which benefits from the powerful pipe organ of the Salle Wagram in Paris. That recording features the legendary Gaston Litaize on the organ, and he does marvelous things with the part. That highly effective recording has been uploaded to YouTube. Another successful treatment of the organ part in Psaume XLVII is on the 1952 premiere recording of the work, made in the presence of the composer at the Palais de Chaillot by conductor Georges Tzipine, the Chorale Elisabeth Brasseur and the Paris Conservatoire Orchestra. The equally impressive organ soloist on this recording is Maurice Duruflé, who is perhaps better known as the composer of the Requiem and a number of highly effective solo organ works. This recording has also been uploaded to YouTube and can be heard here. 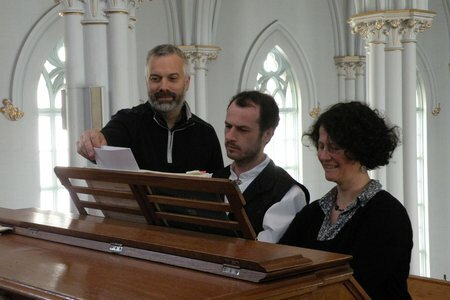 Having composed such an impressive organ part in the Psalm, one might assume that Florent Schmitt would have penned other music for the organ. However, a look through the composer’s catalogue of 138 opus numbers reveals a relatively few number of entries. The earlier of the two published works is an organ prelude, which Schmitt titled Prière. It is a meditation — quiet and contemplative — that bears little resemblance to the musical style the composer would adopt just a few short years later. Listening to the Prière, I hear influences of Schmitt’s teacher and mentor Gabriel Fauré. But in its plaintive sounds I am also reminded of the organ works of Sigfrid Karg-Elert, the German/English composer who lived from 1877 to 1933. 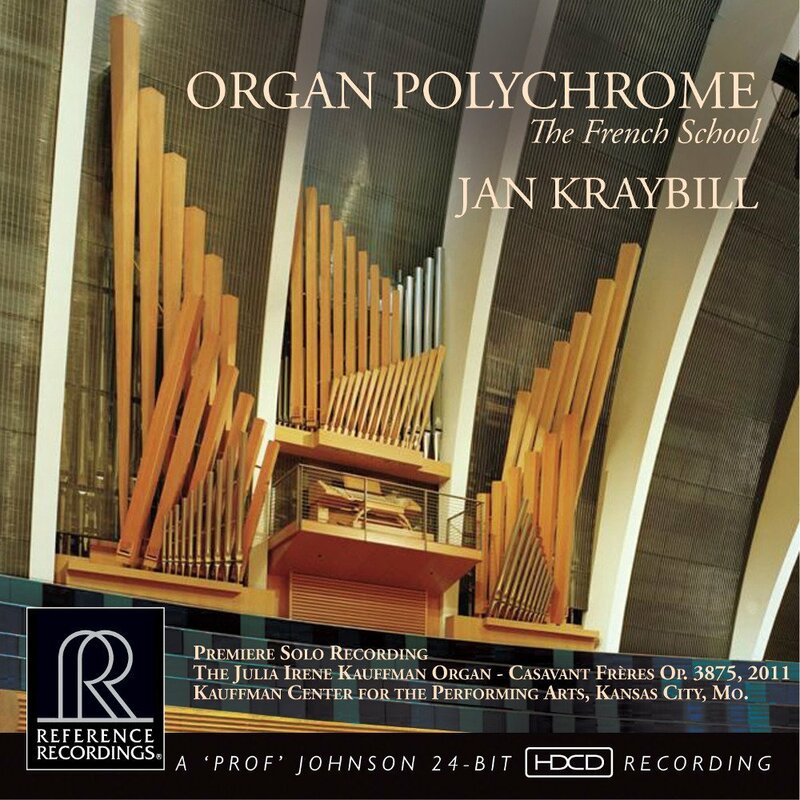 The Prière received its premiere recording only this year, in a Reference Recordings recital of French organ music by the American organist Jan Kraybill performing on the new Casavant organ at the Kauffman Center for the Performing Arts in Kansas City, Missouri, USA. Commenting on the music, Ms. Kraybill singles out the prominent string and flute ranks that are notated in the score, which are beautifully rendered on the recording. With the ability to hear this music after a century of silence, Schmitt’s miniature may finally get its due. In its atmospherics and in its brevity (barely three minutes long), it seems the perfect piece to perform during Communion at a Roman Catholic or Anglican Mass. First recording of Florent Schmitt’s Prière for organ: Jan Kraybill. Nearly 50 years later, Schmitt would pen his only other work for solo organ. Again, it was music for a sacred setting — but quite different in that it is a wedding march. The Marche nuptiale, Opus 108 dates from 1946 and was first performed that same year at the Eglise St-François-Xavier in Paris. The score was published by Durand in 1951. From the very opening measures, one realizes that this 10-minute composition is no ordinary wedding march. Fanfares provide a stentorian introduction, which is followed in quick succession by a procession-like passage and boldly rhythmic “episodes” that alternate between melodic, quiet sections and boldly exuberant, almost bombastic phrases … ultimately leading to fanfare flourish at the end of the work. 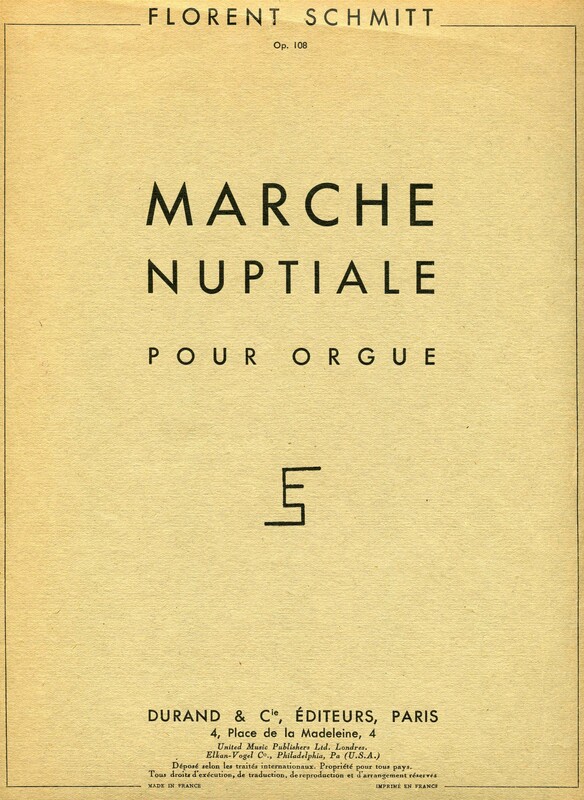 Florent Schmitt’s Marche nuptiale was published by Durand (1951). Along the way, we are treated to the trademark shifting rhythms for which the composer was so notorious, along with thrilling passages and fascinating chord progressions. Without a doubt, this is one of the most interesting and inventive scores for a wedding march ever composed. It is musically quite meaty, but I can’t imagine any young brides and bridesmaids wishing to attempt to process down the aisle to this music (much as I would love to convince my own daughters to take up the challenge when their big days come). To my knowledge, there has been only one recording made of the Marche nuptiale — and it is a magnificent performance. 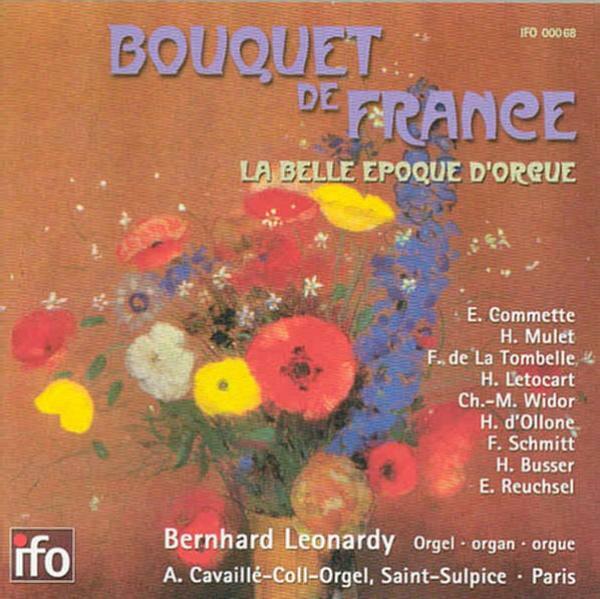 Performed by organist Bernhard Leonardy at the Cavaillé-Coll organ at St-Sulpice Cathedral in Paris, this 2001 recording also features other unusual organ fare composed by Fernand de la Tombelle, Henri Letocart, Henri Büsser, Max d’Ollone and Eugène Reuchsel. Beyond these two solo organ pieces, the only other Florent Schmitt compositions that call for organ are three sacred choral compositions from 1951, 1952 and 1953 that include ad libitum organ parts (the Trois liturgies joyeuses, Opus 116, Laudate Dominum Pueri, Opus 126 and Oremus pro Pontifice, Opus 127), as well as the Five Motets, Opus 60, composed in 1917. The Five Motets are particularly interesting in that three of them — “Hymn to St. Nicholas,” “De Profundis” and “Virgo glorioso” — are scored for all-male voices. The two remaining motets — “Ave Regina” and “Laudate Dominum” — are for four-part mixed choir. While the Five Motets have never been recorded commercially, a number of years ago the BBC Singers presented them in a live concert broadcast. 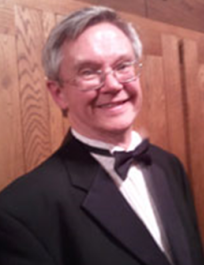 Directed by John Poole with Gary Sieling at the organ, the performance proved once again the richness Florent Schmitt’s sacred choral writing. Indeed, each of these motets is its own special gem — and absolutely spellbinding to hear, which you can do courtesy of the Florent Schmitt music channel on YouTube. Likewise, the Trois liturgies joyeuses have never been commercially recorded, but the first number in the set (“Veni Creator”) was broadcast recently by France-Musique in a 2017 performance directed by Sofi Jeannin. That performance is available to hear, courtesy of SoundCloud. There is one additional choral work that includes organ — and it is the very last piece written by the composer. It is his Mass in Four Parts, Opus 138 for four-part choir and organ. It was composed in 1958 in Schmitt’s 88th year, just a few months before his death. To my knowledge, the Mass has never been commercially recorded, although I once heard an aircheck performance of this music courtesy of the French National Broadcasting System in North America, that featured a less-than-polished chorus accompanied by an electric organ with a rather puny sound. 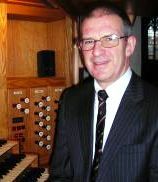 In more recent years the Mass has been presented (far more effectively) by the BBC Singers in an idiomatic interpretation led by Simon Joly, with the important organ part played by Andrew Parnell. That very fine performance was broadcast several times over BBC Radio 3 in 1994 and 1995 for those lucky enough to have been able to hear it. As for the rest of Florent Schmitt’s output for organ, a handful of pieces originally composed by Schmitt for piano were transcribed for organ by Gaston Choisnel and published by Durand — most notably Après l’été, the fourth number in Schmitt’s set of piano nocturnes Soirs (Opus 5) dating from the 1890s. In sum, Florent Schmitt may not have composed copious quantities of music for the organ. But what we do have is interesting, finely crafted material that represents a worthy contribution to the repertoire. Update (12/31/16): A second commercial recording of Florent Schmitt’s Marche nuptiale has now been released, courtesy of Forgotten Records. It is part of a 2016 recital of French organ music performed by Guillaume Le Dréau, the principal organist at Rennes Cathedral. 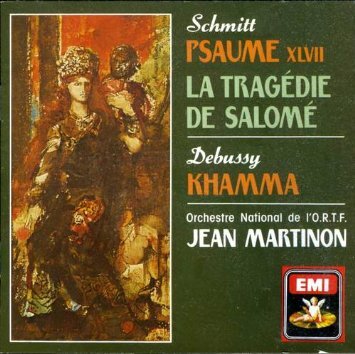 In addition to Schmitt’s fascinating wedding march, this CD contains a very interesting collection of music that includes organ works by Maurice Emmanuel, Jean Roger-Ducasse and Claude Delvincourt, along with Le Dréau’s own organ transcriptions of orchestral works by Henri Rabaud (La Procession nocturne) and Gabriel Fauré (the prelude from Pénélope). The new recording can be purchased at the Forgotten Records website. Update (7/15/17): An intriguing series of events has resulted in the discovery of yet another solo organ piece by Florent Schmitt. It began with a purchase I made several months ago of vintage sheet music of an organ prelude by Schmitt, published by a long-defunct company based in Brooklyn (New York City). I assumed it would be the Opus 11 Prière discussed above, that had its premiere recording by Jan Kraybill several years ago. That turned out to be an incorrect assumption, because upon its arrival, I realized that the score was not the same as the one recorded by Kraybill. Moreover, the sheet music I had purchased displayed no opus number – quite unusual for Schmitt in that nearly all of his published works contain them. Further adding to the mystery, there was no copyright date shown on the sheet music score. Louis Vierne (1870-1937), the French organist and composer to whom Florent Schmitt dedicated his Prélude, Op. 11. There were several clues, however. One was that the music appeared to be harmonically more advanced than the early Prière recorded by Kraybill. 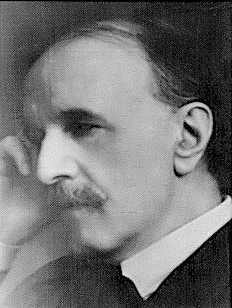 The other was Schmitt’s dedication of the Prélude to the organist and composer Louis Vierne. These clues suggested that the piece was composed after the Prière, but before the death of Vierne in 1937. Guillaume Le Dréau (center) in performance. 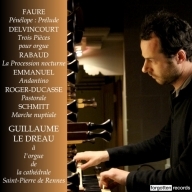 Interested to discover more, I turned to Guillaume Le Dréau, the French organist and musicologist who has devoted much attention to French organ compositions of this period. I scanned and e-mailed the pages from the score to him for reference … and what Le Dréau found out through his investigation was quite fascinating. Le Dréau was able to discover the origin of the Prélude thanks to the engraving plates that appear on the sheet music in my possession. From this information, he traced the score to a magazine series produced by the Alphonse Leduc music publishing firm under the title L’orgue moderne, publication spéciale de Musique pour grand-orgue paraissant quatre fois par an sous la Direction de Ch. M. Widor et A. Guilmant. As it turned out, Florent Schmitt’s piece appeared in the 16th issue of the magazine, which was published in the year 1900. The front cover of Vol. 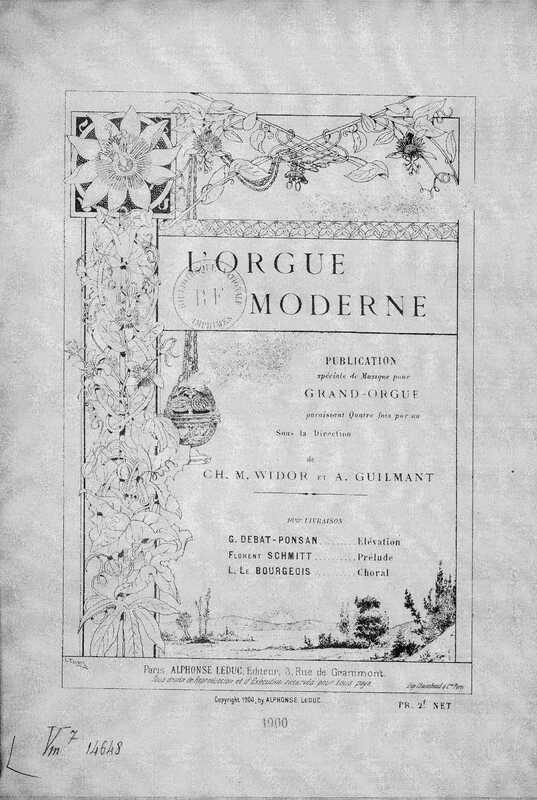 16 of L’Orgue moderne, published in 1900. Next, Le Dréau was able to track down an original copy of the 16th issue that is housed at the Bibliothèque National de France, on which appear the exact same plates in the sheet music that I possess – except that the original Leduc printing also includes an opus number which had been inexplicably removed from my printed copy of the music. And that number is … Opus 11. So, what Le Dréau has discovered is that this long-lost Prélude is, in fact, Schmitt’s actual Opus 11, which the composer created in 1899 and which was published by Leduc in 1900. 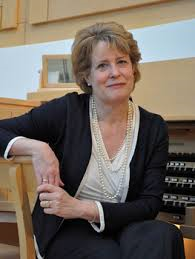 That raised a new question: What is the true provenance of the Prière – the piece of music recorded by Jan Kraybill and erroneously listed on her recording (and indeed in all of Schmitt’s catalogues of works) as the composer’s Opus 11? 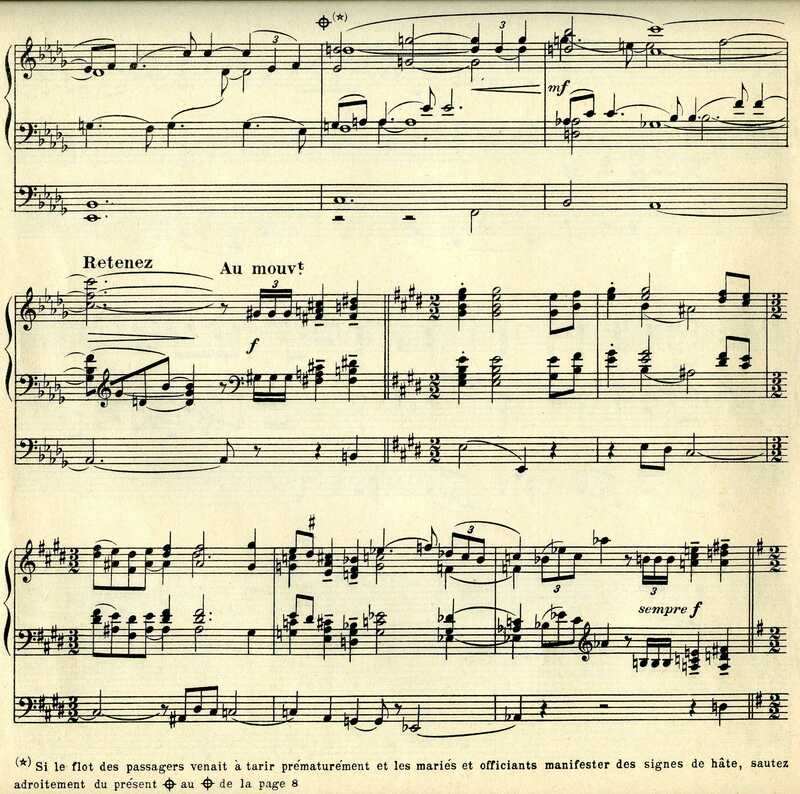 Further digging by Le Dréau produced an answer: Instead of being Schmitt’s Opus 11 composed in 1899, the Prière is actually a later piece of music, composed in 1914 and published by a different company – the Jobert publishing house – without an opus number. So what we know now is that Schmitt had actually composed yet another work for organ that had been lost for decades … while another work was masquerading all this time as the Opus 11. What would be the next logical step in this saga? The answer is obvious: Guillaume Le Dréau is planning to make a second recording of French organ music from the early 20th century to be released on the Forgotten Records label. Similar to his first Forgotten Records recording, this new release will feature rare organ scores by important French composers of the era. Le Dréau plans to include compositions by Albert Roussel, Charles Koechlin and others … as well as the newly rediscovered “authentic” Opus 11 Prélude by Florent Schmitt. Having spent some time studying the sheet music, I can state with confidence that Le Dréau’s premiere recording of the Opus 11 will bring a valuable rediscovered gem into the bright light of day after decades of residing in the shadows. We’ll report when the new recording is released. It will be a satisfying ending to decades of confusion — and mystery. 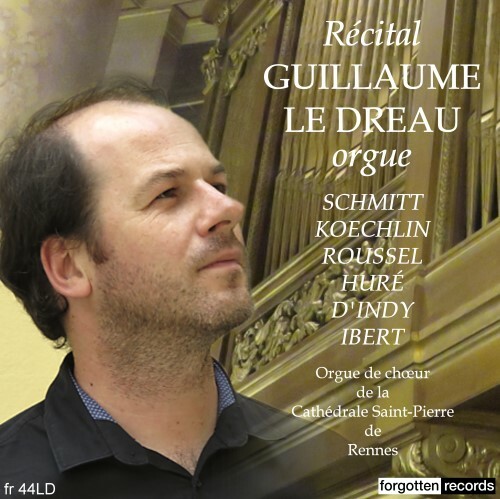 Update (9/9/18): Guillaume Le Dréau‘s newest organ recital recording has now been released. It was recorded at Rennes Cathedral in February, April and May 2018. 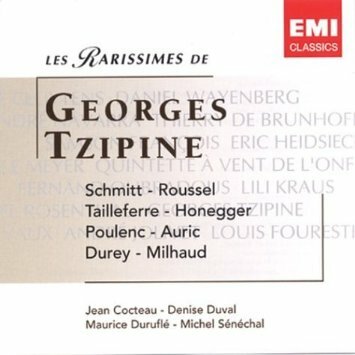 In addition to the premiere recording of the rediscovered Schmitt Opus 11 Prélude, the recital includes music by Jean Huré, Albert Roussel, Charles Koechlin, Jacques Ibert and Vincent d’Indy — many of them rarities as well. The new recording is available for purchase from the Forgotten Records website. This entry was posted in Choral Music, Classical Music, Composers, French Composers, Organ Music and tagged Alexandre Guilmant, Alphonse Leduc, Andrew Parnell, Bernhard Leonardy, Bibliotheque Nationale, BNF, Casavant, Cavaille-Coll, Charles-Marie Widor, Chorale Elisabeth Brasseur, Durand, Florent Schmitt, French National Broadcasting System, Gabriel Faure, Gary Sieling, Gaston Litaize, Guillaume le Dreau, Jan Kraybill, Jean Martinon, Jobert, John Poole, Kauffman Center for the Performing Arts, Louis Vierne, Marche Nuptiale, Maurice Durufle, Organ Music, Priere, Psalm 47, Psaume XLVII, Schmitt, Sigfrid Karg-Elert, Simon Joly, Sofi Jeannin, solo organ. Bookmark the permalink.